Growing your own food from seeds harvested from your crops that grow in compost you create from your kitchen waste and leaves. 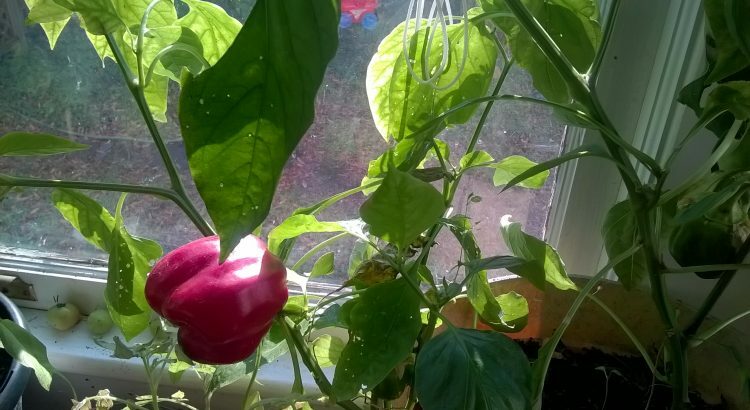 I have had a winter garden in my south facing bay window for years. 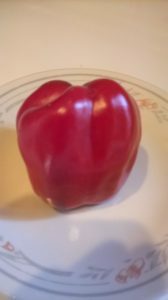 Bell Peppers do really well and tomatoes start from seed well too. I have had some luck harvesting tomatoes there as well. Here is a pepper I harvested today. I have had the best luck taking the seeds directly from peppers and tomatoes and planting them. This is much easier than drying them. Another reason to keep the plants growing in the winter.